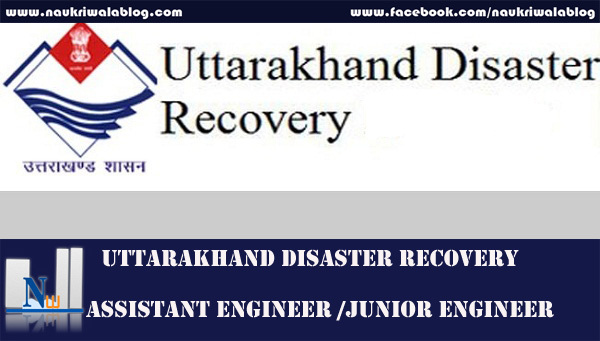 Uttarakhand was formed on 9th November 2000 as the 27th State of India, when it was carved out of northern Uttar Pradesh. Located at the foothills of the Himalayan mountain ranges, it is largely a hilly State, having international boundaries with China (Tibet) in the north and Nepal in the east ecovery Project. Qualification: B.Tech / BE Civil from any institute or university with more than 2 years of post-qualification experience. Preferably in Irrigation department. Qualification: Diploma in Civil from any institute or university with more than 2 years of post qualification experience. Preferably in Irrigation department. Qualification: Graduate with computer skill and more than 3 years of experience in Computer and Office related works. Good English and Bilingual Typing Preferred. Qualification: Graduate with computer skill, shorthand 80 to 100 wpm in English, 80 wpm in Hindi. Typing speed Minimum 5000 kdph in English and 4000 kdph in Hindi with 2 years of exp. Qualification: Intermediate and 3 year work experience. Last date for receipt of application is 26/07/2018 . Qualification : Mechanical Engineering from a recognized University with 65% marks in aggregate for Open and OBC candidates and 55% in the case of SC/ST and PwD candidates. 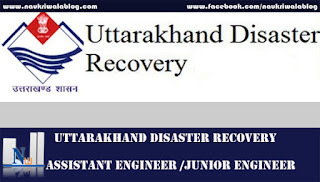 Qualification : Civil Engineering from a recognized University with 65% marks in aggregate for Open and OBC candidates and 55% in the case of SC/ST and PwD candidates. Qualification : Electronics Engineering from a recognized University with 65% marks in aggregate for Open and OBC candidates and 55% in the case of SC/ST and PwD candidates. Qualification : Safety Engineering from a recognized University with 65% marks in aggregate for Open and OBC candidates and 55% in the case of SC/ST and PwD candidates. Qualification : Institute of Chartered Accountants of India/Institute of Cost Accountants of India. Qualification : Two years Master Degree in Business Administration or equivalent Degree/Diploma with specialization in HR/Post Graduate Degree in Social Work with specialization in Personnel Management or Labour Welfare & Industrial Relations or Post Graduate Degree in Personnel Management, from a recognized University/ Institute, with a minimum of 65% marks in aggregate for Open and OBC candidates and 55% in the case of SC/ST and PwD candidates. Compensation and Benefits : The candidate selected as Executive Trainee will have to undergo one year training during which the trainee will be paid a consolidated monthly stipend of ` 50,000/-. 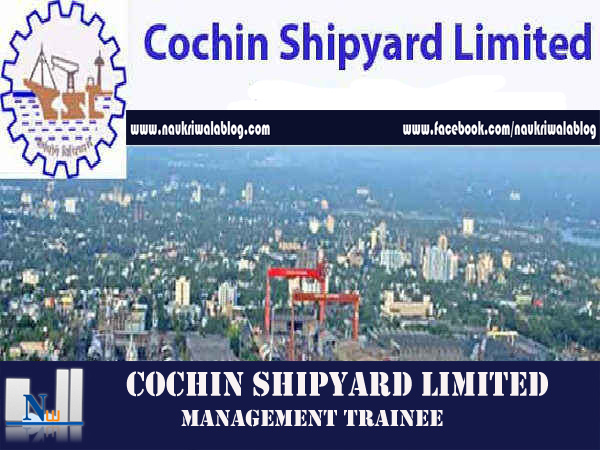 If required, the trainee would be retained for extra hours of training beyond normal working hours and on closed holidays, and in such cases would be paid an additional stipend limited to a maximum of ` 3000/-pm. 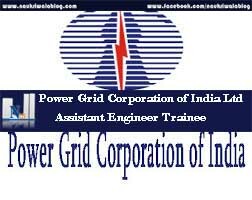 On successful completion of one year training, the Executive Trainees shall be considered for appointment as Assistant Manager in E-1 Grade in the scale of pay of `40000-3%-140000 and pay fixed at the start of the scale. 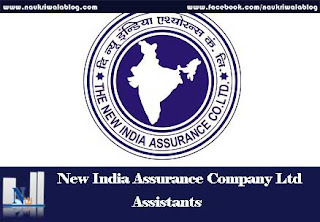 In addition to Basic Pay, the candidate will be eligible for Industrial Dearness Allowance as applicable, HRA @ 16% of Basic pay, Perks upto 35% of Basic Pay, Contributory Provident Fund Scheme, Accident Insurance coverage, Leave Encashment, Reimbursement of Medical expenses under the Contributory Medial Insurance policy, Performance Payment etc as admissible. The CTC per annum at the minimum of the scale as on date works out to ` 11 Lakhs approx. Age limit as on 20 August 2018 : The upper age limit prescribed for the posts shall be 27 years as on 20 Aug 2018, relaxable by 3 years for OBC (Non Creamy Layer) candidates, 5 years for SC/ST candidates, 10 years for Persons with Disabilities (PWD). Age relaxation of five years applicable for candidates who have been domicile of Jammu & Kashmir during the period 01.01.1980 to 31.12.1989 as per Govt. of India Guidelines. Application Fee : (i) Application fee of Rs. 750/-(Non refundable, plus bank charges extra) should be remitted using the online payment options (Debit card/Credit card/Internet Banking) in the Application Portal. No other mode of payment will be accepted. (ii) No application fee for candidates belonging to Scheduled Caste (SC)/ Scheduled Tribe (ST) / Person with Disability (PwD). They are exempted from payment of application fee (iii) All applicants for whom the fee is applicable, i.e. except those belonging to SC/ST/PwD, should pay the application fee. It is important to note that their candidature will be considered only on receipt of application fee. The Online Test shall be of 75 Minutes duration comprising of 70 Multiple Choice Questions in the areas of General Awareness(5 Marks),English Language(5 marks),Numerical Ability(5 marks),Reasoning Ability(5 marks) and Subject Based(50 marks). Each question carries one mark and there will be no negative marks. Centres : The Phase-I selection process will be held at various test centres in India as notified by CSL and Phase-II will be held at Kochi. The centres for Phase-I selection process will be New Delhi, Mumbai, Kolkata, Bengaluru, Chennai, Hyderabad, Kochi, Kozhikode and Thiruvananthapuram. Candidates shall have the option to choose only one test Centre for the online test. Test centre once chosen shall be final and request for change in test centre shall not be considered. The Objective Type Online test is tentatively scheduled during the 2nd/ 3rd week of September 2018. Interested candidates should Apply Online latest by 20 Aug 2018. Last Date of Online Application : 20 Aug 2018. New India is a leading global insurance group, with offices and branches throughout India and various countries abroad. The company services the Indian subcontinent with a network of 1068 offices, comprising 26 Regional offices, 393 Divisional offices and 648 branches. Education : Graduate from any university , institute or board. Candidates are requested to apply Online. For implementation and subsequent operation of Delhi MRTS, a company under the name DELHI METRO RAIL CORPORATION was registered on 03-05-95 under the Companies Act, 1956. 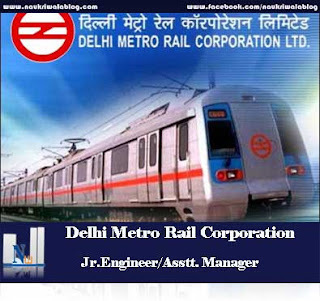 DMRC has equal equity participation from GOI and GNCTD. Qualification : GATE qualified candidates for the year 2017. Candidates should have got a minimum of 60% marks /equivalent CGPA in B.E./B.Tech (Electrical) respectively from a Govt. recognized University/Institute. Qualification : GATE qualified candidates for the year 2017. Candidates should have got a minimum of 60% marks/equivalent CGPA in B.E./B.Tech in Electronics Engg.,Electronics & Communication Engg.,IT,Computer Science, Computer Science & Engg.,Electrical & Electronics Engg.,Electrical Engg.,Electronics & Telecommunication Engg.,Electronics Instrumentation and Control, Instrumentation & Control and Instrumentation engg., from a Govt. recognized University/Institute. Qualification : GATE qualified candidates for the year 2017. Candidates should have got a minimum of 60% marks/equivalent CGPA in BE/B Tech in Electrical/Electronics/Mechanical/Civil or in equivalent trade from a Govt. recognized University/Institute, with a valid GATE score in 2017 OR 02 year full time MBA with 60% marks/equivalent CGPA having specialization in Marketing/International Business Operations/Logistics from a Govt. recognized University/Institute. Qualification : B.Sc equivalent from a Govt. recognized University with one year Advance Diploma of National Fire Service College of Nagpur or BE(Fire) of NFSC, Nagpur or equivalent from a Govt. recognized University/Institute. Qualification : GATE qualified candidates for the year 2017, Candidates should have got a minimum of 60% marks/equivalent CGPA in B.Tech/B.E. in Mechanical/Electrical/Electronic discipline from a Govt. recognized University/Institute. Qualification : GATE qualified candidates for the year 2017, , Candidates should have got a minimum of 60% marks/equivalent CGPA in B.Tech/B.E. in Civil/Environment Engineering from a Govt. recognized University/Institute. Qualification : GATE qualified candidates for the year 2017. Masters degree in Computer Application or Computer Science or Masters of Technology (with specialization in Computer Application),with a valid GATE score in 2017 or BE/B Tech in Computer Science or Information Science/Technology with minimum 60% marks/equivalent CGPA from a Govt. recognized University/Institute. Qualification : LLB with minimum 50% marks from a recognized Govt. recognized University/Institutes . Qualification : B. Lib with minimum 60% marks/equivalent CGPA/equivalent CGPA from a Govt. recognized University/Institute. Desirable:-M.Lib/B.Ed/Post Graduate in any discipline . Qualification : GATE qualified candidates for the year 2017. Candidates should have got a minimum of 60% marks/equivalent CGPA in B.E./B.Tech (Electrical) respectively from a Govt. recognized University/Institute. Qualification : GATE qualified candidates for the year 2017. Candidates should have got a minimum of 60% marks/equivalent CGPA in B.E./B.Tech in Electronics Engg.,Electronics & Communication Engg.,IT,Computer Science,Computer Science & Engg.,Electrical & Electronics Engg.,Electrical Engg.,Electronics & Telecommunication Engg.,Electronics Instrumentation and Control, Instrumentation & Control and Instrumentation Engg., from a Govt. recognized University/Institute. Qualification : GATE qualified candidates for the year 2017. Candidates should have got a minimum of 60% marks/equivalent CGPA in B.E./B.Tech (Civil),respectively from a Govt. recognized University/Institute. Qualification : GATE qualified candidates for the year 2017, B.E./B.Tech (Civil) from a Govt. recognized University/Institute with Working knowledge of ‘AutoCAD’ or similar software. Qualification : 3 Diploma in Electronics, Computer Engg., Information Technology, Electronics & Communications, Electronics & Communications Industry Integrated, Electrical & Electronics, Electronics/Microprocessor, Electronics & Telecommunications, Instrumentation Technology, Electronics and Instrumentation Engg. from a Govt. recognized University/Institute. Qualification : 3 Diploma in Civil/equivalent trade from a Govt. recognized University/Institute. 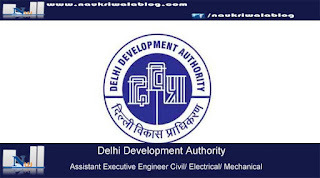 candidates for the post of Office Assistant & Store Assistant, will be paid a lump sum salary of Rs.45,000/- per month. Selection process: For Executive cadre posts, viz., (for post codes RE01 to RE07 and CE01 to CE04),the selection methodology will comprise a threestage process –CBT (two papers),Group Discussion & Personal Interview followed by Medical Examination in Executive(Technical/Non-technical) category, as the case may be. Computer Based Test (CBT): The CBT will consist of two papers (Paper-I and Paper-II, to be held on the same day at the same centre). Paper-I will consist of multiple-choice objective type questions, bilingual (Hindi/English),on General Awareness, General Intelligence & Reasoning, Quantitative Aptitude (General English for Maintainer-Electrician, Electronic Mechanic, Fitter and Ref & AC Mechanic) and/ knowledge of the discipline/trade. There will be a total of 120 questions, each carrying equal marks. There will be negative marking. For every wrong answer 1 /3 marks will be deducted. The Paper-I shall be of 1.5 hours duration. Paper-II (Not for Maintainers post, viz., from RNE10 to RNE13) will consist of objective type questions on General English to judge the knowledge of English language. There will be a total of 60 questions, each carrying equal marks. There will be negative marking. For every wrong answer 1 /3 marks will be deducted. The Paper-II shall be of 45 minutes’ duration. Candidates who qualify separately in Paper-I & Paper-II and rank high on the merit list within the zone of consideration in (Both Paper-I & Paper-II separately) as decided by DMRC shall be called, based on the overall merit of CBT(both Paper-I & Paper-II together),category wise, for Medical Examination/GD & Interview, at Delhi/NCR. Candidates (for all categories of posts) called for GD & Interview, shall be paid to & fro sleeper class Railway fare for journey by the shortest route between Railway Station nearest to hometown & Delhi. Fee : UR & OBC (including Ex-servicemen) candidates are required to pay a Non-refundable fee of Rs. 500/- (exclusive of bank transaction) and SC/ST/PWD & Women candidates are required to pay a non-refundable fee of Rs. 250/- (exclusive of bank transaction charges). Training: The selected candidates (both Regular & Contract),will undergo intensive training for prescribed duration before posting on the job. 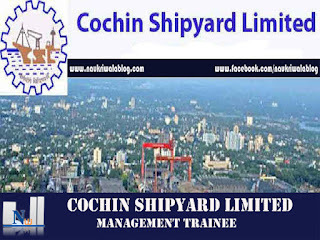 The Corporation has the right to enhance or reduce the training period at its discretion for any or all the trainees. Power Grid, the Central Transmission Utility (CTU) of the country, is engaged in power transmission business with the mandate for planning, co-ordination, supervision and control over complete inter-State transmission system. Regulation : Electrical/ Electrical (Power)/ Electrical and Electronics/ Power Systems Engineering/ Power Engineering (Electrical) from any university or institute . Regulation : Electronics / Electronics & Communication/ Electronics & Telecommunication / Electronics & Electrical Communication / Telecommunication Engineering from any university or institute . Regulation: Computer Science/ Computer Engg./ Information Technology from any university or institute . Fees : payment of application fees (only SC/ST/PwD/ Ex-SM/ Departmental candidates are exempted), application fees of Rs. 200/- through online mode. Agreement Bond : The selected candidates will be required to execute a agreement bond to successfully complete the prescribed training period and thereafter serve the organization for at least three years. The amount of the bond is INR 1,00,000/- for General/OBC candidates and INR 50,000/- for SC/ST/PwD candidates. Selection Process : The Selection Process consists of marks obtained (out of 100) in the relevant paper of GATE 2017, Group Discussion & Personal Interview. Eligible candidates should have qualified and secured a valid score in the corresponding paper of GATE 2017. Candidates shall be short-listed category-wise for Group Discussion & Personal Interview based on their normalized marks out of 100 in GATE 2017. 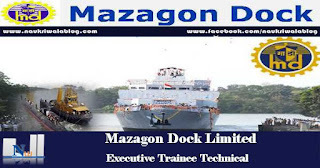 Mazagon Dock Shipbuilders Limited, aptly called “Ship Builder to the Nation”, is the India’s leading Shipyard.Main activities are construction of state-of-the-art warships and submarines with facilities situated at Mumbai and Nhava. 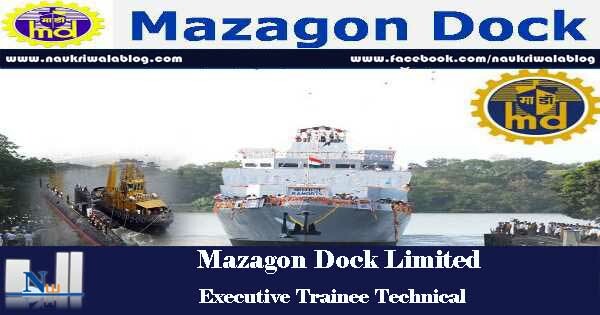 We have the capability to build warships, submarines, merchant ships upto 30,000 DWT. Qualification : Engineering in Mechanical/ Electrical with minimum 60% Marks or equivalent CGPA from a recognized University/ Deemed University Or Institute recognized by AICTE. Final year students are also eligible to apply for the post. Processing Fee: Processing fee of Rs. 300/- shall be applicable for candidates belonging to General/ OBC Categories. Applicants belonging to SC/ ST/ PWD (Persons With Disability) are exempted from payment of processing fee. 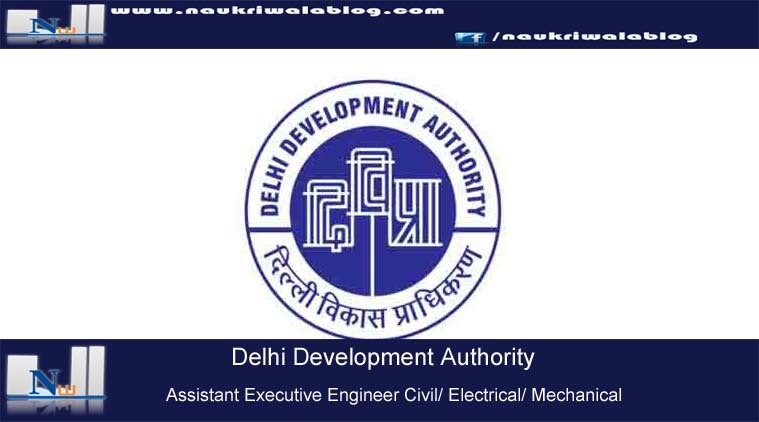 i) GATE 2018 Examination: The Graduate Engineers from the relevant disciplines mentioned in the Qualifying Requirements, who are desirous of taking up a career with MDL are required to write Graduate Aptitude Test in Engineering (GATE) 2018 examination in the same disciplines. ii) Personal Interview: Based on GATE 2018 marks, candidates will be called for Personal Interview.